1995 with a Bachelor of Arts degree in Education. 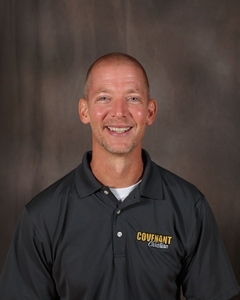 Mr. Haveman began teaching at Covenant Christian in the fall of 2008. He works in the Guidance Counseling Office and coaches the Boys' Golf team. Mr. Haveman and his wife Tanya were married in 1994 and have 3 boys, Tyler, Derek, and Damon. Mr. Haveman and his family are members of Faith Protestant Reformed Church in Jenison, MI.